Werrity, A., A. Black, R. Duck, B. Finlinson, N. Thurston, S. Shackley and D. Crich-ton 2002: Climate Change: Flooding Occurrences Review. Scottish Executive Central Research Unit, Edinburgh, 94 pp. West, C.C. and MJ. Gawith, Eds., 2005: Measuring Progress: Preparing for Climate Change Through UK Climate Impacts Programme. UKCIP, Oxford, 72 pp. Westerling, AL., H.G. Hidalgo, D.R. Cayan and T.W. Swetnam, 2006: Warming and earlier spring increases Western U.S. forest fire activity. Science, 313, 940943. Weyhenmeyer, G.A., 2001: Warmer winters: are planktonic algal populations in Sweden's largest lakes affected? Ambio, 30,565-571. Weyhenmeyer, GA.,T. Blenckner and K. Pettersson, 1999: Changes of the plankton spring outburst related to the North Atlantic Oscillation. Limnol. Oceanogr, 44,1788-1792.
WHO, 2003: Phenology and human health: allergic disorders. Report on a WHO meeting, Rome. World Health Organization, Rome, 64 pp. Wilkinson, J.W., 2004. Status of Coral Reefs of the World. Australian Institute of Marine Science, Townsville, 580 pp. Williams, D.W. and A.M. Liebhold, 2002: Climate change and the outbreak range of two North American bark beetles. Agr. Forest Entomol, 4, 87-99. Williams, S.E., E.E. Bolitho and S. Fox, 2003: Climate change in Australian tropical rainforests: an impending environmental catastrophe. P. Roy. Soc. Lond. B Bio, 270,1887-1892. Wilmking, M., G.P. Juday, V.A. Barber and H.S.J. Zald, 2004: Recent climate warming forces contrasting growth responses of white spruce at treeline in Alaska through temperature thresholds. Glob. Change Biol., 10,1724-1736. Wilson, R.J., C.D. Thomas, R. Fox, D.B. Roy and W.E. Kunin, 2004: Spatial patterns in species distributions reveal biodiversity change. Nature, 432,393396. Wilson, R.J., D. Gutierrez, J. Gutierrez, D. Martinez, R. Agudo and V.J. Monser-rat, 2005: Changes to the elevational limits and extent of species ranges associated with climate change. Ecol. Lett., 8,1346-1346. Winder, M. and D.E. Schindler, 2004a: Climate change uncouples trophic interactions in an aquatic system. Ecology, 85,3178-3178. Winder, M. and D.E. Schindler, 2004b: Climatic effects on the phenology of lake processes. Glob. Change Biol, 10,1844-1856. Wolanski, E.,S. Spagnol andE.B.Lim, 2002. Fine sediment dynamics in the mangrove-fringed muddy coastal zone. Muddy Coasts of the World: Processes, Deposits and Function, T. Healy, Y. Wang and J.A. Healy, Eds., Elsevier Science, Amsterdam, 279-292. Wolfe, A.P. and B.B. Perren, 2001: Chrysophyte microfossils record marked responses to recent environmental changes in high- and mid-arctic lakes. Can. J. Bot, 79,747-752. Wolfe, D.W., M.D. Schwartz, A.N. Lakso, Y. Otsuki, RM. Pool and N.J. Shaulis, 2005: Climate change and shifts in spring phenology of three horticultural woody perennials in northeastern USA. Int. J. Biometeorol, 49,303-309. Wolters, M., J.P. Bakker, M.D. Bertness, R.L. Jefferies and I. Moller, 2005: Salt-marsh erosion and restoration in south-east England: squeezing the evidence requires realignment. J. Appl. Ecol, 42, 844-851. Wong, P.P., 2003: Where have all the beaches gone? Coastal erosion in the tropics. Singapore. J. Trop. Geo., 24,111-132. Woodworth, PL. and D.L. Blackman, 2004: Evidence for systematic changes in extreme high waters since the mid-1970s. J. Climate, 17,1190-1197. Woolf, D.K., P.G. Challenor and P.D. Cotton, 2002: Variability and predictability of the North Atlantic wave climate. J. Geophys. Res.-Oceans, 107, 3145, doi:10.1029/2001JC001124. Worrall,F.,T. Burt andR. Shedden, 2003: Long term records of riverine dissolved organic matter. Biogeochemistry, 64,165-178. Yamada,T., 1998: Glacier lake and its outburst flood in the Nepal Himalaya. Japanese Society of Snow and Ice, Tokyo, 1,96. Yang, D.Q., D.L. Kane,L.D. Hinzman, X.B. Zhang,T.J. Zhang and H.C. Ye, 2002: Siberian Lena River hydrologic regime and recent change. J. Geophys. Res— Atmos, 107(D23),4694, doi:10.1029/2002JD002542. Yang, S.L., J. Zhang, J. Zhu, J.P. Smith, S.B. Dai, A. Gao and P. Li, 2005: Impact of dams on Yangtze River sediment supply to the sea and delta intertidal wetland response. J. Geophys. Res.-Earth, 110, F03006, doi: 10.1029/2004JF000271. Ye, H.C. and M. Ellison, 2003: Changes in transitional snowfall season length in northern Eurasia. Geophys. Res. Lett, 30,1252, doi:10.1029/2003GL016873. Yom-Tov, Y., 2003: Body sizes of carnivores commensal with humans have increased over the past 50 years. Funct. Ecol., 17,323-327. Yom-Tov, Y. and S. Yom-Tov, 2004: Climatic change and body size in two species of Japanese rodents. Biol. J. Linn. Soc, 82,263-267. Yoshikawa, K. and L.D. Hinzman, 2003: Shrinking thermokarst ponds and groundwater dynamics in discontinuous permafrost near Council, Alaska. Permafrost Periglac, 14,151-160. Zhang, K.Q., B.C. Douglas and S .P. Leatherman, 2000: Twentieth-century storm activity along the US east coast. J. Climate, 13,1748-1761. Zhang, K.Q., B.C. Douglas and S.P. Leatherman, 2004: Global warming and coastal erosion. Climatic Change, 64,41-58. Zhang,X.B., K.D. Harvey, W.D. Hogg andT.R. Yuzyk, 2001: Trends in Canadian streamflow. Water Resour. Res, 37,987-998. Zhang, X.B., F.W. Zwiers and PA. Stott, 2006: Multimodel multisignal climate change detection at regional scale. J. Climate, 19,4294-4307. Zheng, J.Y., Q.S. Ge and Z.X. Hao, 2002: Impacts of climate warming on plants phenophases in China for the last 40 years. Chinese Sci. Bull., 47, 1826-1831. Zhou, G., N. Minakawa, A. Githeko and G. Yan, 2004: Association between climate variability and malaria epidemics in the East African highlands. P. Natl. Acad. Sci. USA, 24,2375-2380. Zhou, L., C.J. Tucker, R.K. Kaufmann, D. Slayback, N.V. Shabanov and R.B. My-neni, 2001: Variations in northern vegetation activity inferred from satellite data of vegetation index during 1981 to 1999. J. Geophys. Res.-Atmos, 106,2006920083. Zhou, L., R.K. Kaufmann, Y. Tian, R.B. Myneni and CJ. Tucker, 2003: Relation between interannual variations in satellite measures of northern forest greenness and climate between 1982 and 1999. J. Geophys. Res, 108, 4004, doi:10.1029/2002JD002510. Zimov, S.A.,EA. Schuur and F.S. 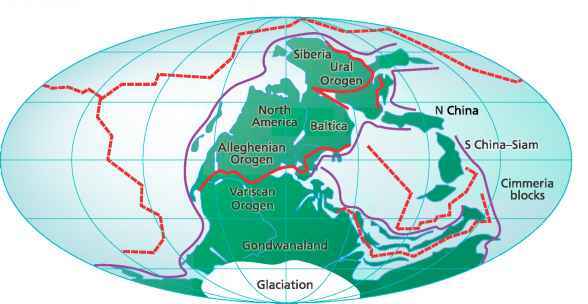 Chapin III, 2006: Permafrost and the global carbon budget. Science, 312,1612-1613.